Audiotrak has launched an external USB device, Maya EX5 CE. It differs from the previous Maya EX5 product only in colors. The title of the new product now includes CE, which stands for Crystal Edition. 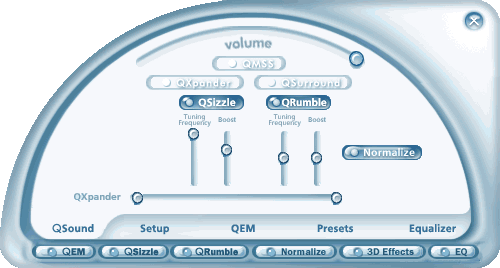 Unfortunately, such a nice name did not affect technical characteristics of the device, all parameters remain the same. Thus, Crystal Edition means only a light design of the card. The transparent enclosure contains a white PCB. All connectors are also made of white plastic. 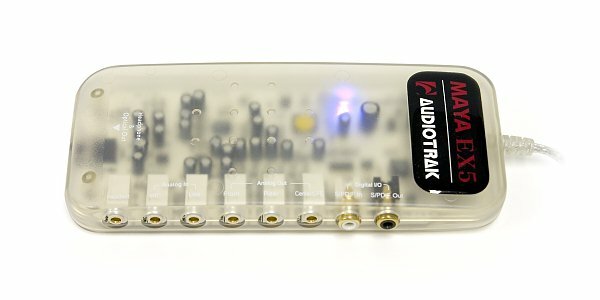 Audiotrak Maya EX5 is powered from USB. The device is plugged to a computer with a 1.5-m USB cable incorporated into the enclosure. There is no power switch on the card. However, when the interface is plugged, a blue LED lights up. There are no controls on the device, it's managed with software only. 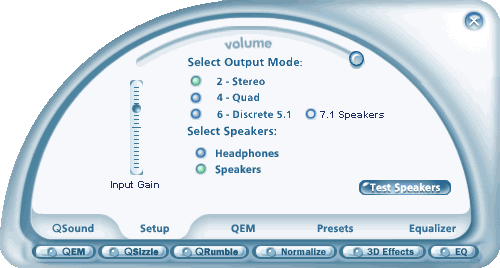 The bundle includes a user manual, CD with drivers, and an adapter to use the headphone-out as an optical output. The card uses the VIA VT1616 AC'97 codec as a converter. 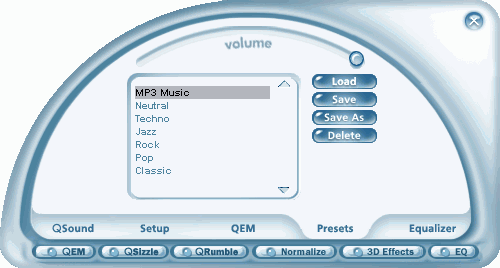 The control panel is implemented as a single window of an odd shape with five tabbed pages. 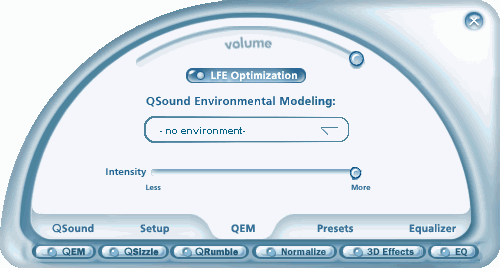 It should be noted that the manufacturer added sterling software support for QSound to this device. When you work with the ASIO interface, the drivers automatically detect and set a necessary sampling rate. ASIO buffer size can also be changed without problems, but you can do it only in ASIO Control Panel. On the whole, audio quality of the Audiotrak Maya EX5 CE is similar to that of the Creative Audigy2 cards. Our audition with Beyerdynamic DT250 headphones and Microlab SOLO-6 speakers did not reveal a noticeable advantage of the Audigy2. 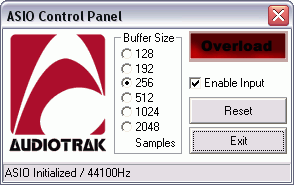 Thus, Audiotrak Maya EX5 CE is an alternative to the integrated AC'97 audio. Besides, the Maya EX5 CE is very convenient to use. All connectors are placed conveniently in full view. The headphones connector is placed separately, so you won't have to replug your cables, when you want to use your headphones. 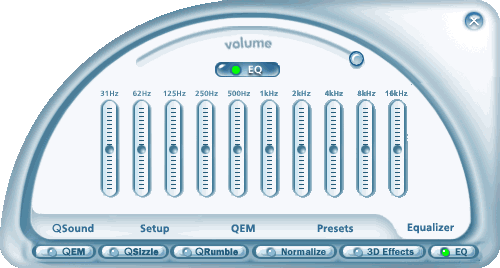 The card offers support for the professional ASIO interface and sterling software support for QSound simultaneously.